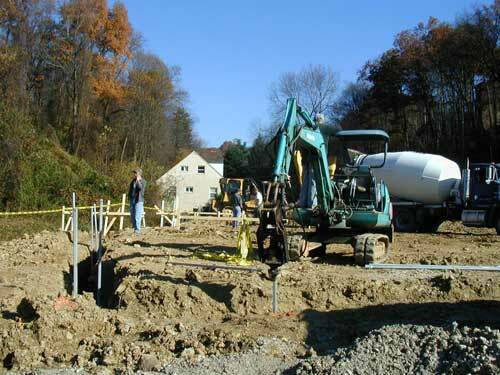 New Construction Helical Pile saves time and money over other deep pile foundations. The piers can be installed while digging for the grade beam. There are no spoils to haul away and can be instantly loaded. If the grade beam steel is built and on site and the concrete trucks available, the grade beams can be dug, helical piers installed, rebar steel dropped in place and concrete poured all in one day. Capacities can equal Auger Cast piles with no mobilization, mess or spoil removal.